“Hardwood” is our middle name. Integrity Hardwood Floors promises beautiful floors because we are passionate about hardwood. 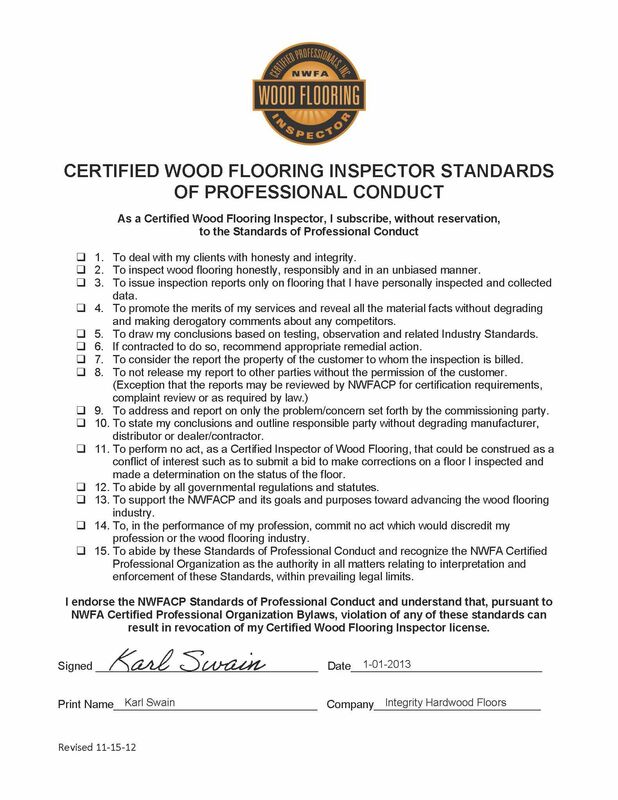 We meet and exceed industry guidelines by the National Wood Flooring Associations and support the Code of Conduct. We believe hardwood floor installation and refinishing is a long term investment and with your investment, you should have the very best. Our craftsmen are passionate, skilled and focused on customer service. PERSONAL SERVICE AND SUPERIOR CRAFTSMANSHIP…GUARANTEED. Hardwood Floor Installation, Refinishing, Repair, Maintenance and Deep Cleaning. We are proud to be your local BONA Certified Craftsmen as well as National Wood Flooring Association Certified Sand & Finish Professional. We offer our 100% Satisfaction Guarantee, Our Promise to You.